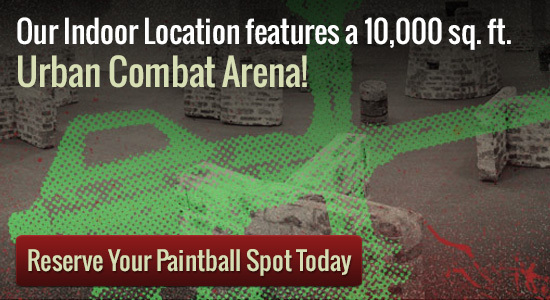 Why should you choose a paintball birthday party to celebrate you or a loved one’s big day? It’s hard sometimes to know what to do for a birthday. After awhile it seems like all of the creative options have been used, and you’re left with the mundane. However, if you’ve got a birthday to plan and you do feel out of options, Splatball Games is here to save the day. Why not try organizing a paintball birthday party? It’s fun, physical, and good for any group. It’s also a great way to work off that cake-fueled sugar rush. Splatball Games doesn’t need that you have a huge bash both, they might require at the least only 8 men and women. Don’t get worried, they can also accommodate larger organizations, even more than 150 people. We also provide go walking-on enjoy on particular days each week, in which no a reservation are required. Irrespective of what your bash size, Splatball Game titles may help you coordinate the ideal paintball party. Our company is delighted to help you with your improve a reservation, so make sure you call them as quickly as possible to arrange a fun-loaded and productive bday that will not in the near future be overlooked. Splatball Games’ experienced and pleasant staff can help you work out which actively playing discipline is right for you. Some of their fields are even spectator friendly if you’ll have non-playing members of the party. If she doesn’t decide to play too, even grandma can enjoy the paintball birthday party fun from the sidelines; that is! The actively playing job areas may also be not difficult to gain access to, with paved auto parking, sheltered staging locations, and inside restrooms accessible. No need to make an effort with porta-potties on these taking part in job areas!